To get rid of dust after an extensive home remodeling is tedious most of the time. Home remodeling is something that generally cause a big illusion to ourselves. Thinking about the final result is exciting! This is something that makes us feel happy, we love enjoying of a new and modern space. However, remodeling can be complicated sometimes, but if we are well advised, and we know how we want our facilities to remain and we hire the right team, it won’t be such a big problem. In Dream Home Builders and Remodeler you can count on a professional advisory with 25 years of construction experience in Charlotte. Reason why we want to share with you a few tips to get rid of dust after an extensive home remodeling. it’s common that after moving furniture, demolishing walls and sanding, there is always dust floating around your house. A quick way to get rid of it is to open the window and place a fan blowing out, it will make the particles away, little by little you’ll see how the air in your place is being purified. Try to use a cloth to clean the objects, make sure the cloth you’re using is not full of water because you will only be able to take the dirt from one place to another. Once you see that the cloth does not drip, pass it through the electrical appliances, tables, and windows. Always try to use dusting tool in order to be successful in your task. Dip the mop in the bucket with water and squeeze it until you don’t spill a drop of water. Then, place it in the corner that joins the wall and the ceiling and pulls it as if you were cleaning the floor. This is something you could also do to clean the walls. 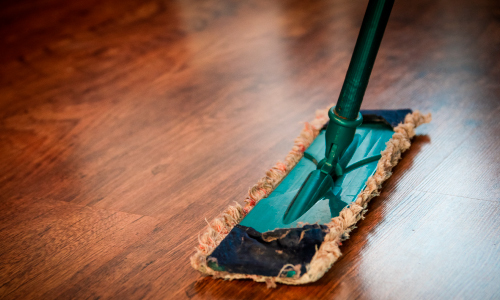 It is important not to sweep the floor, as it will only cause dirt and debris to spread all over the place. It is recommended to make use of a vacuum cleaner with high-efficiency filter. This vacuum cleaner absorbs even the smallest dirt and you must pass it from side to side stepping only in dust-free areas. If this is the case and you need to remove traces of paint, varnish or enamel, try to moisten the stain with a little nail polish remover with acetone, you will see that the dirt softens in a few seconds, you just have to scrape it. If after vacuuming you find spots on the floor, try moistening a cloth with a bit of soda and squeezing the soil where the stain is located until it comes out. If case it doesn’t work, try a bit of hydrogen peroxide. For sure it will work! Removing these remains is usually easy with a scale remover, you can find one in the cleaning section of any hardware store. Moisten a cloth with a descaler, pass it where the stain is and then scrape the glob with a spatula. One of the most important things of all is to prevent dirt to accumulate. Try to remove the dust everyday after each working day or at least every single weekend. If time passes and you accumulate a lot of it, it will be harder to remove the dust and chemicals adhered to the surface.